Schnucks has a program which contributes up to 3% of your monthly purchases (up to a maximum of $21 per card per month) to the Oratory as a qualified charity. The Schnucks program uses the "My Schnucks Card" as administered by eScrip. 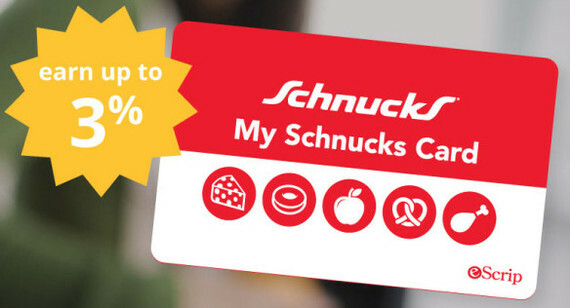 Please note that Schnucks gives 1% for the 1st $300 per card and increases the percentage for purchases up to $999. Thus, the Oratory will realize more contributions if the whole family uses the same card. Please consider supporting the Oratory through this program. Thank you! If you know of similar "matching" programs, please let Paul Radzom know.